We had a pretty interesting discussion to close out our last Elders meeting in 2011. It was a lesson on judgment and the second coming. As you can imagine, many interesting things were said. Some off the wall about what would happen leading up to the Second Coming, and others that were scripturally based. One brother kept bringing something up though that caused me to reflect on an issue I hear quite frequently from fellow Christian friends of other denomonations, specifically on how they feel Mormons think they can earn their salvation and also become Gods. The brother kept asking questions about what we needed to do in order to be saved. He asked about the steps such as baptism, receiving the Holy Ghost, and going through the temple. In his mind, it sounded to me like he thought he was home free once he made those steps. He also made mention in reference to the scripture that if we make these steps, we will become Gods and have everything equal with God. Although I am a Mormon, or Latter-day Saint, I completely disagree with these statements. For starters, we will never be equal to God. I believe that God (Heavenly Father), and Jesus Christ (also a God) are separate beings who are far superior to us and always will be. Even though we are created in their image, we will never be equal to them. I feel that it is damaging and dangerous to put ourselves at the same level with them in that it sets us up for pride and it is erroneous doctrine. Some LDS or Mormon prophets (most notably, Lorenzo Snow) have come out and stated that we can become gods and that God was once like us. Mormons are also quick to point to the scripture in the Bible that states in both the Old and New Testamant “ye are gods…” and use that as evidence that one can be a god. A closer reading of the scriptures shows that every time Jesus or Heavenly Father are mentioned, the “g” in god is capitalized. In the scripture that says we “are gods” the “g” is lower case. To me, this means that we can become “like” God and have power and authority over certain things that He gives us, but we will always be inferior to Him and function under his jurisdiction. Another way of looking at it is what we learn in the Mormon temple about us becoming “kings and priests” unto god, but not a God in the sense that He is God. Regarding earning salvation, there are certainly actions we must take to receive the gospel into our hearts. However, we will always be in debt to God the Father and Jesus for their sacrifice so that we have the opportunity to be saved. Although we should always take actions to be obedient and close to the Holy Spirit, it is through the grace and mercy of Jesus that salvation comes. The moment we start thinking we’re the ones accomplishing the task of being saved, we run into pride issues and this is also erronous doctrine to think we can earn our salvation. Perhaps since I’ve been able to learn more from fellow Christian friends through this blog and other sources such as friends and family in other faiths, I am a bit more sensitive to the subject of Mormons earning their salvation and becoming Gods than I was before. After that discussion we had in class, I can see why members of other faiths are alarmed when they attend a Morm0n church. For those of you inside the church, do you think there is an issue with people feeling they have to earn their salvation? What can we do to overcome this error in doctrine? For those outside of the LDS church, have you had any experiences with Mormons thinking they can earn their salvation? If so, please share your experience and how it makes you feel. Brother, I love you and what you are doing here, but it is church doctrine(meaning mormon doctrine) that we (meaning spirit children of our father in heaven) do have the capacity within us to become a God. That is not blasphamy, that is the truth. I can support it via Bible, Book of Mormon, D&C, Pearl of Great Price or just in conference talks from church leaders. What the brother left out in Elders Quorum is in my opinion the most important thing and that is enduring to the end. The absolute toughest thing to do is to endure and serve others. Salvation is as simple as believing that Jesus is the atoning sacrifice for your sins (Acts 10:43); and not for your sins alone, but for the sins of the world (1 Jn 2:2). That means that it is faith in Christ alone that saves; it is given by God as a gift, via his Holy Spirit (Ephesians 2:8-10). That which is done within faith is pleasing to the Lord– for without faith it is impossible to please God (Hebrews 11:6). If you want an interesting and thought-provoking read, pick up C.F.W. Walther’s “Law & Gospel,” where he lays out over thirty ways (at least) where Law & Gospel are confused, with disastrous results. Careful discernment of Law and Gospel will keep a Christian from the extremes of legalism, spiritual pride, false piety, or spiritual despondency, which scuttle the Christian faith and life. Bottom line to any person: Humble yourself and recognize your sin. Turn that sin over to Jesus to forgive. Live your life as a forgiven sinner. You are free and therefore at peace. (Boldly tell Satan to go to hell!) Nothing else needs to be done. (Always be on guard for sin and pride, and any trap of the devil, which will drive you away from God.) While that sounds like cheap grace, it is not. Jesus gave his perfect life for our redemption–that was not cheap. As surely as you have been made perfect by the blood of Christ, understand that God has fitted you for a purpose. Never doubt that you have a purpose. Also remember that God is at work to move you to do greater things than you would ever think to do. The God who forgave you, called you to be his own: to live under him in his kingdom and serve him with everlasting righteousness, innocence and blessedness. God promises this: God, who began the work of faith in you by his Holy Spirit, will bring your life (and your faith) to fullness (completion) in Jesus Christ. He never abandons his people; he never forsakes his promise. He is faithful and he will do it. No, but most of the Mormons I’ve been acquainted with were deeply into the Mormon faith. Have you met Mormons who think they can earn their salvation? Sometimes LDS people say things like “Only those who are worthy can enter the temple.” Since evangelicals rarely call themselves worthy without mentioning the blood of Christ in the same breath, the statement sounds to an evangelical as though the Mormon is misguided about how to approach God. However, I have come to understand that Mormons who comprehend Mormonism correctly, know they cannot be forgiven of sin or receive the gift of the Holy Spirit apart from faith in Jesus Christ as the one who paid for their sins. Everything I have read from an evangelical point of view regarding your church has led me to believe that Mormons are taught that they are saved by their faith and works and I truly have believed that the official teaching of the church was Godhood-or eternal progression. The belief many evangelicals have is that modern mormonism has put on an outward face of being “Christian just like us” with a few unique doctrines added. However, a convert quickly discovers a faith that teaches many new doctrines-with these being but 2 of them. While my appreciation for LDS people like you have certainly tempered my own thoughts about the church-are you saying that these things are not really clearly taught by the church? That would be a revelation to me! Brother Ezra, I think your essay is quite good, although I’d like to hear you explain James 2:14-26 sometime so I’ll know for sure that you recognize that faith & action are inseparable twins. If I were going to be nit-picky, I might point out that Romans says that the law apart from faith INCREASES sin, rather than serving to “curb our evil impulses,” as you said about 7 lines into your good dissertation. I was glad to hear you say that “that which is done within faith is pleasing to the Lord,” and “the God who forgave you . . . to live under him in his kingdom and serve him. . . .” It leaked out that you do believe our faith will cause us to DO things and SERVE God. Our comments are “crossing in the mail”! Yes, I believe there is only one Almighty God. I agree in the sense of those two specific G_ds. Will one or two, or even a handful ever walk the path and eventually arrive to the same station in the progression of the G_ds as they have? If not then, we will never be G_ds and we will never grow up… I guess we will forever be the children of God and His pets to entertain. So just how do you think you are going to become a Priest and a King unto G_d? Ordination? Laying on of hands? Jesus Christ (Yeshua HaMashiach) was Melchizedek, the Great High Priest, and Adam was ‘Lord of the Earth’. They were true Priest and King unto the Most High in this world. They are the perfect arch types. If you can not walk that path, you have no right to claim as to being such or ever becoming such. Without making the ‘Eternal Sacrifice’ you will never have the makings of a G_d in the flesh, the mark of the covenant. When you receive a new name it is the past name, when you receive the given name, the present name, it is your name here. And when you receive the future name it is the name of the Son of God. If in the future you never receive this name, you will never see G_dhood in any world to come, whether spelled with lower or upper case. G_ds Elect are gods! They are Four Estate Beings. And they live among you. They might be your son, or your father, or brother, or even you? The 144,000 High Priest are all G_ds Elect. They are Junior Fourth Estate Beings. Dispensation Kings… Noah, Moses, Joseph Smith, are Seniors. And there are millions of Baby Fourth Estate Beings. This is just the accounting of the men. There is many more women of these stations. The Messiah is a Fifth Estate Being, Adam is a Sixth. The Great Yehovah is a Seventh, and the Elohim are Eight Estate Beings. Eight makings in the flesh, one on the eighth day. When you arrive to the Eighth Estate you are the Most High G_d, accountable to all the other G_ds. Hence we baptize in the eighth year of our earthly age, to point to eternal things to come. I was very confused with your 8 estates comments…are you LDS or of another faith? My point is simple. Jesus came to this earth as a God and took on a mortal body as 1/2 God, 1/2 human. I’m all human as is everyone else who has ever lived. We will never be equal to that. I am Messianic Hebrew, but I am very eclectic in my beliefs. I seek eternal truths wherever they may be found or I am lead. I select what is good from all true religions (faiths) that once were established by deity (the living G_d). I say and declare unto you, that that is only true of everyone here and in this world! A few men (and I mean few) in the worlds to come will do exactly that, everything that Yeshua HaMashiach did in this world. They will make the eternal sacrifice, receiving the markings of a G_d in their hands and in their feet, and in their (right) side, and in their foreskin (eight markings). They will pay the eternal price of being a G_d as has every G_d before them. For the Son(s) do nothing but that which they have seen their Father Do! And what is that, to be the Anointed One, to be born again of women, to come down and save the world from sin by living a perfect life, and paying the Blood Atonement required by the shedding of every drop of blood in their translated body(ies) and to then die and lay that body down. For through this they become joint heir(s) with the Father and all His Father has and all the Fathers before Him. This was taught in your Temples, this is the Mystery of G_dliness… how to become a G_d. Joseph Smith knew this and revealed it unto the Gentiles, of whom you are numbered among. And now if you can not understand my words, it is because you do not walk in the light, for if you did, then you would understand my words and know that I speak the truth. For I have declare them… these truths plainly and have not hidden them in allegory. The names and the understandings of them that I spoke of above, was talked about by Heber C. Kimball, in his journals. This is the legacy once given to the LDS that has been forgotten or even apostatized from by the LDS. You must just believe as many of those who are descendents from such great men now believe.. that is that, ‘As man is G_d once was, and as G_d is, man may become! This must only be a nice quaint couplet. They are just a pair of (two) lines of meter in poetry. Not the truth or eternal in nature. And if this be so, I pity you with all the empathy, sympathy and sorrow that a mortal man can muster, for something that is that infinity beautiful, and you cannot even see or conceive of, you will hence never attain to, if you continue upon that path you are on. You are supremely correct in saying that the Law apart from faith INCREASES sin. What I mean to say is that the Law is meant for those who are lawless. As man is born lawless, it is meant for us all as sinners. Therefore, said Luther, the first use of the Law is that it is a Curb, meant to punish wrong-doing and to “bump” us back into place. The second use of the Law is as a Mirror, which shows us our disgrace as sinners. Notice that society restrains individuals by the Curb and the Mirror: we fear punishment and we fear disgrace. Notice how advertisements operate using those two functions of the Law. The motivator for obeying the law is FEAR. God threatens to punish all who transgress his commandments. Therefore we should fear his wrath and not do anything against him. But he promises grace and every blessing to those who love him and do as he commands. Therefore we should also LOVE and TRUST in him and gladly do as he commands. For the Christian there is no Law which condemns (as mentioned above); therefore, God’s Law fulfills a third use: the Guide. That is why David could say, “I love the Law,” because while the Law certainly condemns the sinner, the Law still explains what God desires. If David is convinced of his forgiveness and his place within God’s kingdom, then the Law reveals the wisdom of God and the grace that is there for those who believe. While the Christian certainly will obey the law (whether God’s Law or civil law) fearing pain (fine, penalty, imprisonment) or disgrace (my name in the Sheriff’s Report), the Christian (as pertains to his faith) will seek to obey God merely because that is what a child would do to please his father. As John wrote, “We love him because he first loved us.” Therefore, the motivator for the Christian to obey the Law(s) of God will be love for God, not fear of him. Ezra, what you wrote in your last addendum paragraph, if you believe it or not, is exactly what Mormons believe about faith and law. I think Christians read into Mormon beliefs about works and grace things that don’t exist frankly just to pick a fight. Thanks for your post. I don’t believe the statements made in your Elder’s Quorum either. I believe that there is a simple distinction to clear up this confusion about grace and works. We are saved by grace; but we are judged and receive reward according to works of love. Salvation is a free gift given out of love. We not only do not need to earn God’s love; if we try to earn his love we show that we misunderstand the nature of divine love and the gift that has been given. In D&C 76 we are all saved at the time we bow the knee and confess that Jesus is the Christ. We are redeemed from God’s wrath and hell — and eventually all will bow the knee and confess Christ. Salvation, at least in D&C 76 and the Book of Mormon, consists in being saved from death, hell and divine wrath. Salvation is a movement into relationship with Christ. We are accepted in love just as we are — and that is justification. However, once saved or justified — once in relationship of redeeming love — we then enter the relationship and grow in it by works of love. If we don’t keep the commandments, then we live a life inconsistent with being in this loving relationship — for the commandments just are the divine map for living in loving relationship with God and each other. That is why if we love God, then we keep his commandments. So we enter the covenant relationship with God through Christ’s grace; but once in the relationship we “press forward” in the process of sanctification through works of love by which we are judged. We receive reward according to our works. The glory that we enjoy in the resurrection is a result of our works of love. That we are saved from divine wrath, death and hell is a divine gift of grace. The confusion arises because D&C 76 speaks of exaltation in terms of works rather than in terms of grace; but exaltation is a reward. It is not the movement of entering into saving and justifying relationship through grace. I think that is the reason so many LDS get confused — they confuse salvation and redemption with exaltation. They confuse justification with sanctification. They confuse what is given as a gift with the reward of divine glory in judgment by works. Saved by grace; judged by works. It’s that simple. Thanks for stopping by. If I am not mistaken, you’ve written some books on this issue haven’t you? I’m honored to have you visit the site and share your insights! I think the key to works is that they come as a result of love from God rather than doing them to check the box and “earn” salvation. What do you think? I don’t know if I fully believe that Blake. I think its far more mixed with Grace working to make Works of any effect, Faith acting as the bonding agent. Judged by Works because of Grace, although Grace covers a whole multitude of other things like escape from death and hell for all (except those who sin against the Holy Ghost, a whole different category). I believe most Christians have the same confusion regarding faith and works. I attended a very strict Baptist church briefly in my teens and they talked about God’s grace more than anyone I’ve met yet had more rules than any church-how short your shirt could be (for the ladies) and how long your hair (for the guys) don’t drink, don’t dance, don’t play cards. They were the most miserable and judgmental bunch of people I ever spent time with. They knew what they were against but had no clue what they were for. If the doctrine of grace isn’t heart felt it’s just a concept with little power in the Christians life-that’s why I’m not quick to judge LDS when I see the same tendency in my own church experience. You’re an exceptional Christian! I think we as Mormons feel judged many times by our fellow Christians (as they probably do by us as well) in regards to the works/grace/faith issue. Hopefully your congregation takes on your gracious attitude towards the LDS people. Jett – well, I don’t disagree with you. Our reward is surely disproportionate to the merit of whatever “works of love” we do. In that sense there is an added grace. However, it is important not to confuse faith with works. Works arise out of our faith.I am baptized because I have faith. I don’t have faith (merely) because I am baptized. My free choice to choose to accept grace is also enabled by grace. My free choice is not a work; it is merely accepting what has been freely given. when understood properly, and not given into the works versus grace wars. Upon reflection my disagreements with your longer explanation might be less with a simple word addition, “Salvation is a movement into relationship with Christ’s Grace,” gaining it more abundantly until we have it in full. This fullness, if we achieve it by works of faith, is what leads to Exaltation. Making covenants is a recognition that we will try to live by the Spirit in following the Commandments. Sin is a separation from God and therefore from Grace, and that is why its called a second death. The farther we are from God, the less Grace is in our lives for Sanctification and the difference our reward as understood with the degrees of Heaven. We are saved by Grace, after all we can do means the opposite of the critics. Works don’t save, Grace does in relation to what we do. The main point I liked from what you wrote here was that our works should come out of a love for the Savior and not to “check a box” so to speak. I myself continue to be amazed and saddened by our misunderstanding of grace. Stephen Robinson in the first couple of paragraphs of the Forward of his Believing Christ tome, speaks of Mormon students at BYU knowing much about tithing, food storage and dating but little if anything about the core Gospel concept of grace and justification through the Atonement. Despite the brethren’s efforts to shift the discussion toward Grace over the last 15 years we church members still cling to the false belief we are saved in and through our works. I agree completely with you. I’ve made it a point in Elders Quorom to bring everything back to the Atonement and grace. I find that discussions (as I wrote in this article) tend to steer towards us having to shoulder the burden alone often rather than centering around the Savior. Ezra, I understand what you mean by “the Curb” now. Your bit on faith and deeds is great. Blake’s comments were pretty good but I think Jettboy hit the bull’s eye in his efforts to refine what Blake said. Doug & Ken’s points are good, too. Ezra, do you think Jettboy’s and Ken’s view of faith & works are okay? Well, I had this conversation with my mom in serious detail last week. I had this conversation briefly with my Bishop today as well. I think that most Christians and Mormons beleive that a sincere beleif in the Savior will save us and that if we have sinned in life, but sincerely tried to repent for our sins, grace makes up for the part that we couldn’t live up to because we’re not perfect. Whether or not we are going to become gods isn’t relevant to one’s deep beleif in Christ and the atonement. 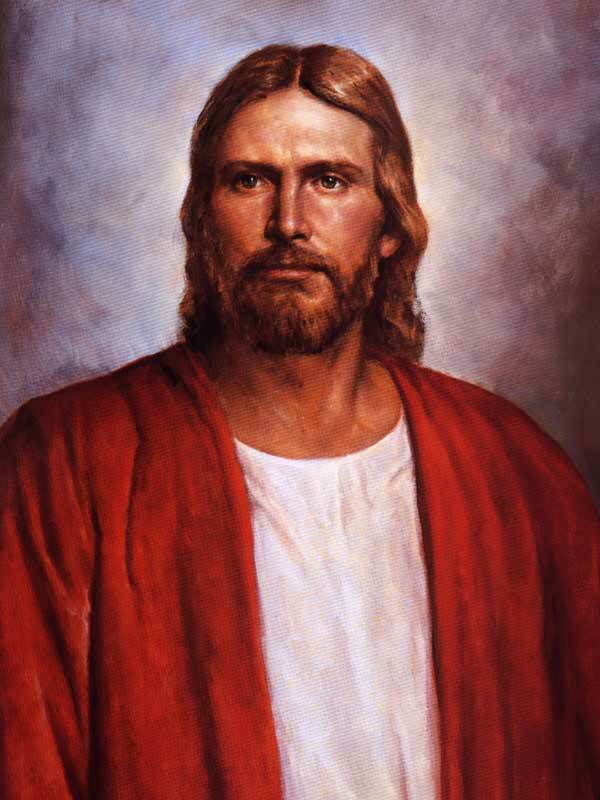 I am LDS and feel extremely judged when Christians say that if I beleive a certain way, I don’t beleive in the “real” Christ that they do and that I won’t be saved because it’s the wrong Christ. Who is the only judge? Christ is. What do we get forgiven of? Our sins. If one’s beleif is a little off, regardless of who is completely right or wrong, their Christlike life and beleife in a Christ who is their redeemer and Savior will save them. If they beleived something wrong, but accepted the Savior, would that not be considered a sin? Would that not be caught up in the atonement? We spend so much time discussing deep doctrines that we forget a lot about the simple principles of the Gospel. Charity and full acceptance of the Atonement. Perhaps that will clear up some confusion. I feel sorry for you, Doc, and I sympathize with you because I also feel extremely judged when Mormons imply that I don’t have Jesus with me always. So how do we solve this problem of false judgmentalism? One way is to be willing to communicate with each other so we’ll learn to understand each other better, and so that we’ll have a chance to see the fruit of the Spirit in each other. Another way is to be willing to turn the other cheek (something I can’t do without the power of the Spirit). Another way is to spend lots of time in prayer and Scripture study so our sense of truth and error is strengthened. As we grow closer to God, we’ll grow closer to each other. EXCELLENT! I totally agree! You’re Mormon; I’m evangelical. That paragraph of yours is a solid rock on which we can begin to build a bridge between us! As far as I’m concerned, you and I are already brothers in the Lord Jesus Christ. Thanks for your comment. Our God is a wonderful God! You’re a good man brother. I agree. You are my brother in Christ. I appreciate this site and thank the chief, my older brother, (graceforgrace) for creating this site, so that we can build each other up and share opinions openly, with what I feel, as little judgement as possible. I believe our God is a gracious and wonderful God as well! You should check out Cal’s site: http://www.evangelicalsandmormonsforjesus.com. It has a lot of great information on bridging the gap between Evs. and Mormons. He’s doing some great work online! The statement on the Godhead in my next-to-last comment is by Bruce McConkie (in “Mormon Doctrine,” p. 319). It’s not attributed to Joseph Smith—although it does accurately reflect LDS doctrine. Cal-sign me up! I’ll be there! You and Aaron really reflect the gracious spirit of Jesus Christ and set the tone for the rest of us . I am so encouraged to hear LDS having serious discussions about the doctrine of grace. I am convinced that most believers in Jesus fail to grasp how amazing grace truly is. Doc, do you mean graceforgrace is your NATURAL brother? Actually, I don’t do that anymore since he’s outgrown me…and I have become much more civil in my old age! BTW, where were the Christians like you down in South Carolina when it was time to vote for Romney? I’m not dead set on Romney, but given the alternative (Gingrich) Romney is really the best we’ve got! The idea that resurrected Mormons will receive their own planet is not now and has never been official doctrine. It is a private opinion with no official standing and a pretty crude expression of the underlying idea of theosis. I challenge the author of this anti-Mormon screed posing as an attempt to elucidate the half baked NYT article to ONE quote by a Mormon authority of significants that “Mormons will receive their own planet.” I want a direct quote and not some quote that it has to be sussed and implied. That Mormons believe Exaltation means theosis of some kind is not argued, but what that means has been discussed and argued for its ambiguity among Mormons from the day it was presented. Besides, if one wants to go that direction than you might as well say that Mormons believe one day they can own their own Universe. At least it would be more accurate to the conjecture, just not sound as funny. Good point. I’ll bet there are varying definitions. I’ve definitely heard the “have your planet and make spiritual babies” thing before, but I don’t buy that for a second. My view is we’ll be kings and priests unto God as I outlined, but I’ll bet most Mormons don’t believe that way. From your experience with the Mormon faith, what are some of the definitions you think are out there? Good idea on the follow-up post. I’m not sure what “theosis” means—but maybe you’ll want to save the answer for the next post (??). “Theosis” is Greek for deification. Just found this site and I am grateful I did. I am doing some study on godhood. I got caught up in the exchange of thoughts and wanted to say how much I have enjoyed it. I just got through studying ‘faith and works’ and saw it mentioned above. I have some things to say/discuss and will do so when I return from some errands. Keep it going…this is thrilling to read the thoughts and see the kindness. Yes we have the potential to become gods ourselves, through the grace of Christ, but this does not mean we will boast or be prideful in ourselves, because attaining the attributes of an exalted being (Sermon on the Mount Matt 5) would mean being meek, which is humble, the exact opposite of pridefulness. Even Christ said he would do the Lord’s will, but the glory be thine. There are gods many and lords many but to us there will always be our God that we will be eternally grateful for. To become like God you would never exercise unrighteous dominion, you would be furthering God’s work, bringing to pass the immortality and eternal life of more souls. Another good way to think of it is that we all have a father, and we all can have a son, but just because you have grown up and become a father does not mean your relationship with your father will be any different. It is a long process in which the holy ghost acts as a refiner’s fire in our hearts, purifying and sanctifying us.